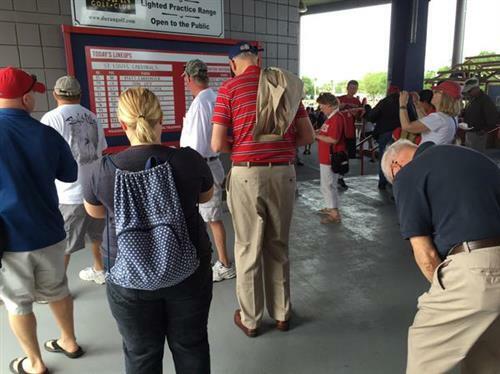 Live updates, photos and stories from Washington Nationals Spring Training in Viera. 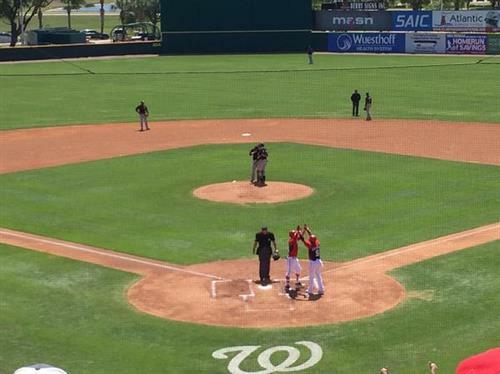 Ryan Zimmerman returned to the lineup, going 1 for 3 with a walk. 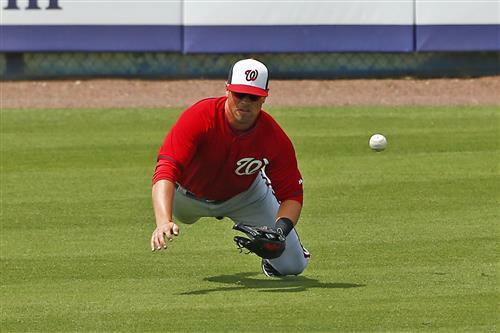 Reliever Drew Storen left with apparent injury. Still no word on what. 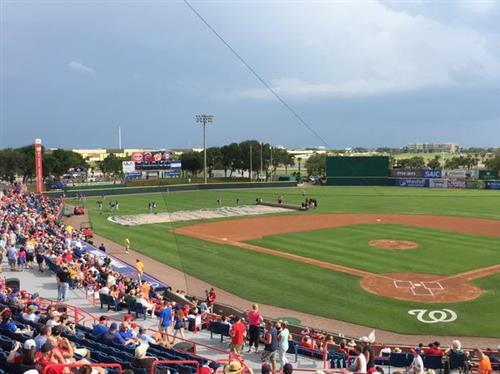 VIERA, Fla. — When the Washington Nationals open the regular season next week, at least three understudies are likely to take the stage. One man’s injury is another man’s opportunity. 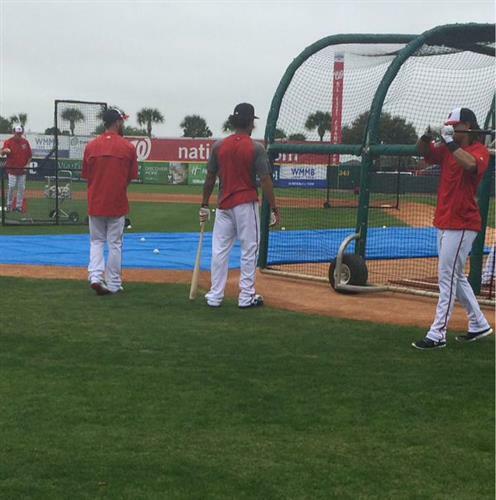 But the absence of familiar names – Jayson Werth, Anthony Rendon and Denard Span — isn’t expected to last long. 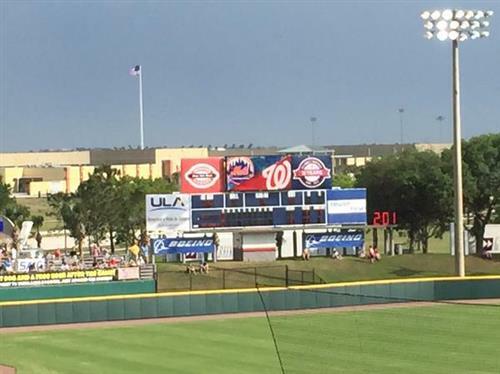 Michael Taylor hits a leadoff homerun to give the Nats a 1-0 lead against Miami. 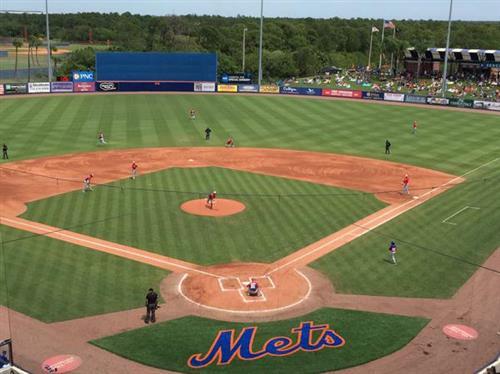 VIERA, Fla. — Being a pro in one sport doesn’t guarantee aptitude in another. 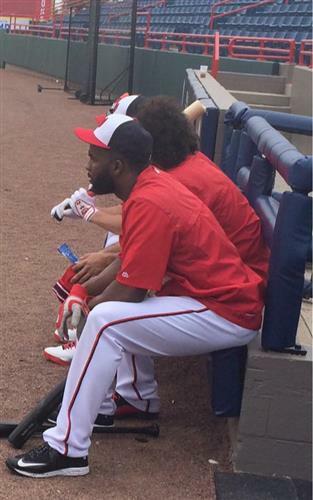 During their down time, some of the Nationals like hitting nearby golf courses. Their abilities are far from equal. Pitcher Craig Stammen is the undisputed top golfer in the clubhouse, having fired a one-under 71 this spring. Teammates have come begging for mercy. 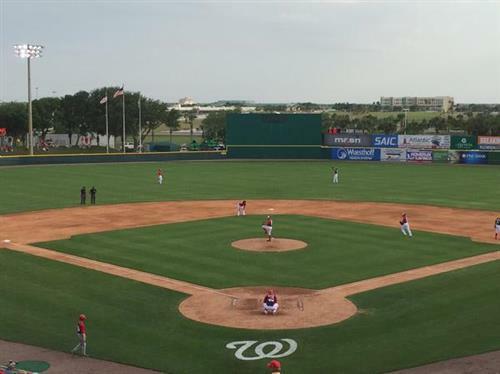 VIERA, Fla. — In Max Scherzer, the Nationals added more than a prolific arm to an already-imposing rotation: They added some competition and good-natured challenges around the clubhouse. The latest challenge came Thursday evening, one day removed from Scherzer’s six-inning, scoreless start in which he fanned nine batters. 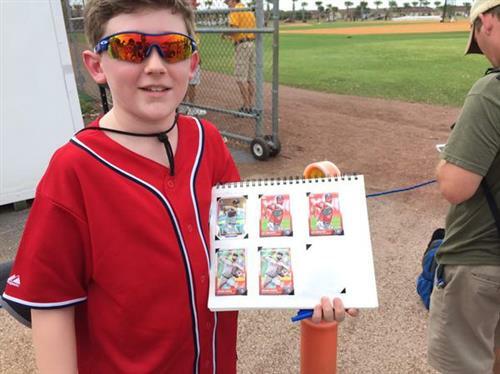 This time, he challenged starter Gio Gonzalez. VIERA, Fl. 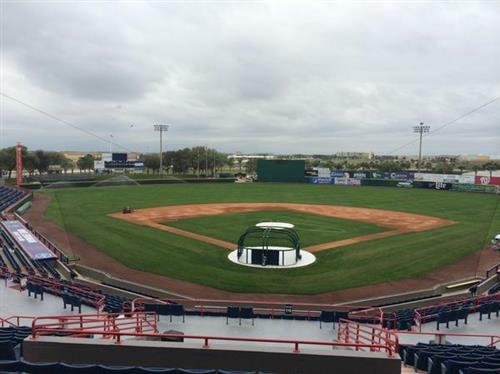 -- The 2015 Nationals Spring Training is now officially in full swing as the first full squad workouts took place on Thursday. 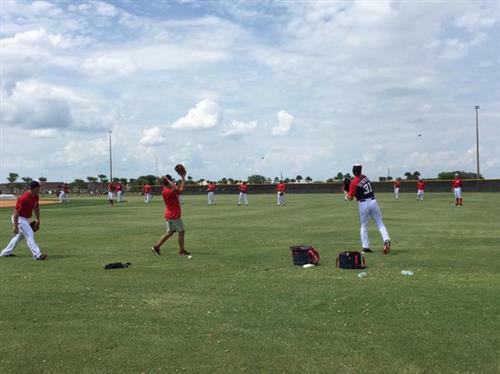 The players rotated from field to field doing fielding drills and then taking batting practice. 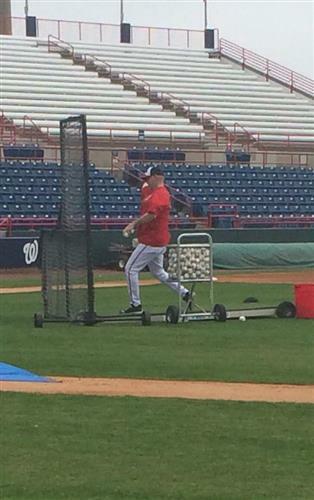 Matt Williams had one word to describe the workout: eupeptic. That’s right, eupeptic. Have you heard of it? Before everyone was eupeptic, Williams addressed his entire team for the first time this morning and his message was simple. we want to do,” he said. “We’re here to get to that ultimate goal. We’re not alone; there are 29 other teams that have the same thought. That being said, I want to make sure that we understand that’s our goal. That is our goal to be the last one standing at the end of it. He understands that there is a lot of work to be done in meantime but wants his players to know that he is here for one reason. We'll find out in eight months at the conclusion of the journey that began today. 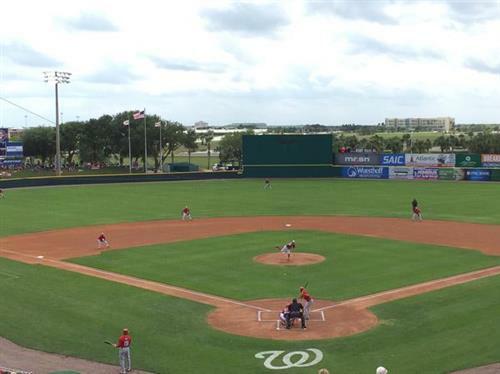 First day of full squad workouts for the #Nats. Matt Williams conducting his first team meeting before the workout at 10am. There was a lot of talk this off season that centered on the contracts of Shortstop Ian Desmond and Pitcher Jordan Zimmermann. The main questions that keep coming up are: Will they be traded? Or, Will they re-sign after this year, the final year of their contracts? It's something that's on Matt Williams’s radar as he enters his second year as Nationals manager and something he has discussed with both of them. The fact that their names came up a lot during the off season doesn’t bother Williams because it must mean one thing. Williams knows that whatever the end result is, it’s out of his hands. As of right now, both are expected to play major roles on this year’s team. That could change in an instant if Mike Rizzo receives a phone call he likes. Great win for the #Terps tonight. Not a fan of the court storming, but heck of a win. VIERA, Fl. 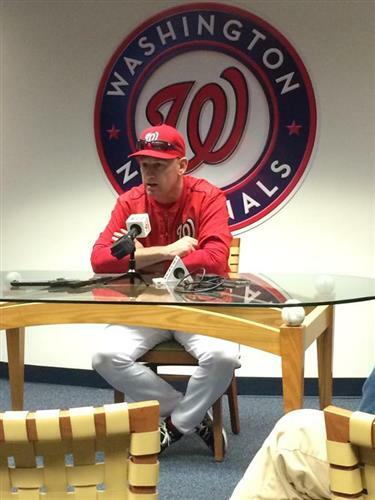 -- Nationals fans will remember last year when manager Matt Williams promised to bring back his Babe Ruth impersonation, something he did during his playing days with the Giants, if the Nats pulled off 10 straight wins. Well, in August it happened. Williams didn’t want to take any focus away from the team's run at the end of the year so we’re still waiting. During his daily availability on Tuesday, Williams was asked when he was going to do it. “You know, I’ve made this decision,” Williams started off in a serious tone. Then, he started laughing. “I can’t even keep a straight face, I have no idea,” he said. The skipper went onto explain his decision and offered a pretty good comparison. 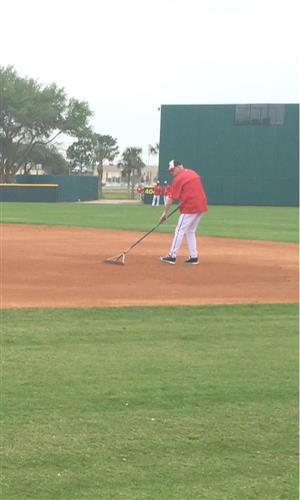 He was then asked about adding it to the spring training schedule that is written out on a big whiteboard on the wall next to his desk. 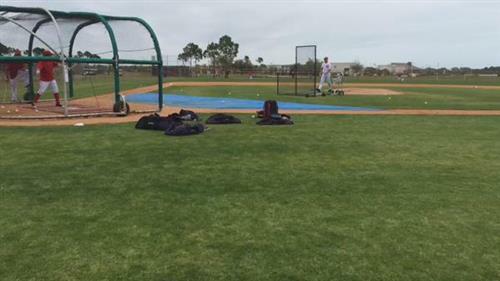 Ryan Zimmerman enters Spring Training as the Nationals new first baseman. 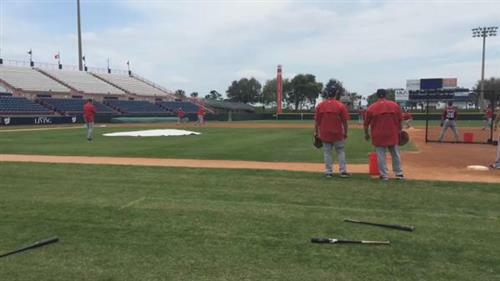 The first couple days he has been on the field early working one-on-one with manager Matt Williams on some of the basics of the position. 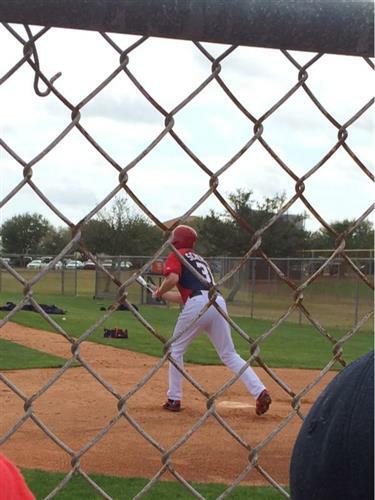 Last year he moved from third base to first base to left field. This year he knows he will be the guy at first and most likely nowhere else. Zimmerman knows the big picture is what’s the most important. It’s always nice to talk to people that have played the position before to pick their brain on it. 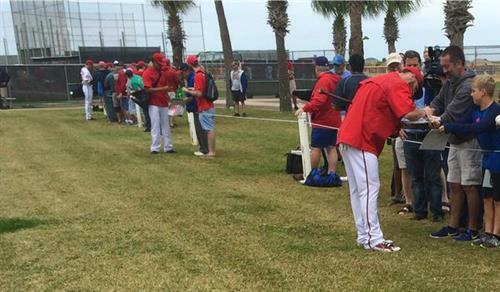 So, he obviously talked with Adam LaRoche right? He acknowledges that nobody plays the position the same and he needs to do it his way. 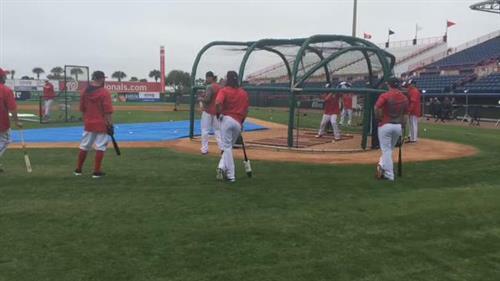 Perhaps the best part for Zimmerman coming into camp is that he is 100 percent healthy.